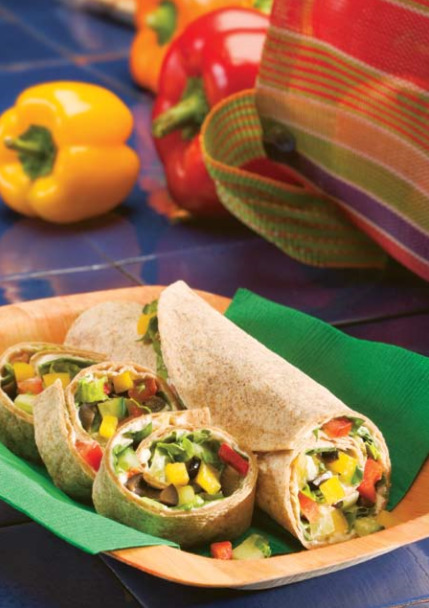 Enjoy fresh veggies and flavored cream cheese in an easy-to-eat wrap! Cut into thick slices and serve as a snack. Makes 4 servings. 1 tortilla roll per serving. Spread each tortilla with 2 tablespoons of cream cheese. Top with equal amounts of vegetables. Roll up tightly to enclose filling and serve.